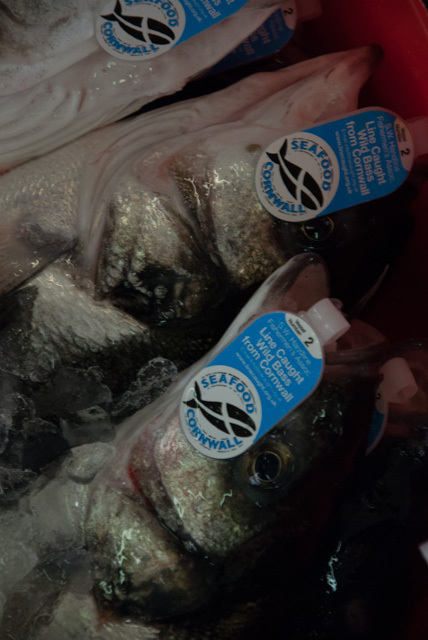 Through The Gaps blog discusses Cornwall’s commercial fishing news in photos. The blog is curated by Newlyn based photographer, artist, ex-fisherman, foodie and lecturer Laurence Hartwell. The Return of the Independent Fishmonger ! It’s been almost 15 years since Camberley had a fresh fish shop, and husband and wife Duncan and Sue Lucas have finally taken the plunge to live out their dream of opening a traditional fishmongers in their home town. The Fish Shop will open its doors to the first customers at 8am on Thursday 4th December with the official GRAND OPENING EVENT on Saturday 6th from 9am – 5pm. 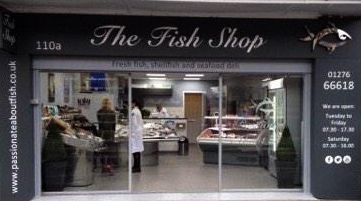 Situated at 110a Frimley Road, just along from the local family butcher Hatto and Sons’, the business will focus on premium, fresh, seasonal British fish plus a great range of high quality imported species like king prawns and fresh tuna. 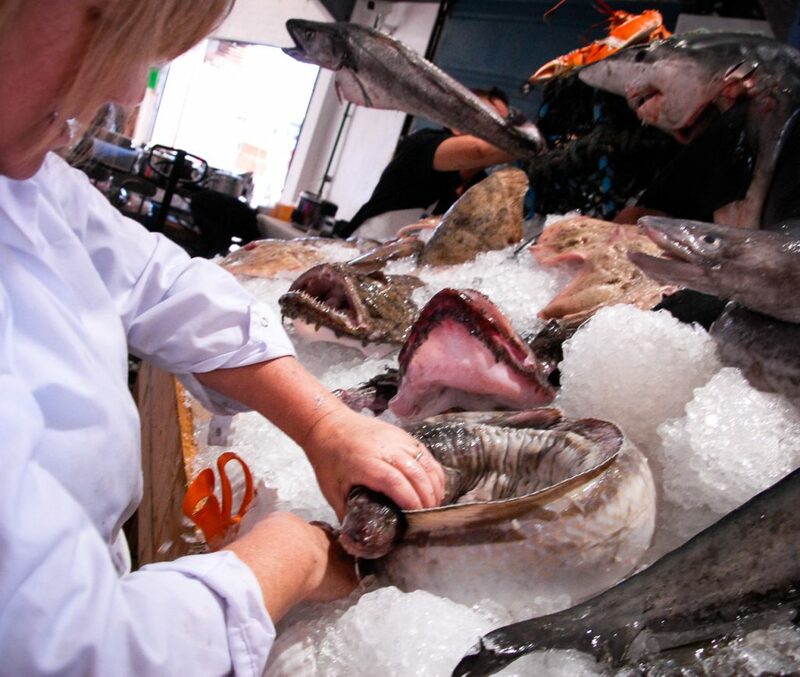 To complement the wet fish, there will be a selection of homemade fishcakes, pates, terrines and seafood platters. The shop will be officially opened by Mr. Robert MacKenzie, Sue’s dad. Mr and Mrs MacKenzie owned the successful family run shop MacKenzie Fish & Game in Camberley town centre from 1979 to 2000. Sue developed her love for the seafood industry when she started her career there as a Saturday girl, later running it with her brother until it was sold in 2000. She went on to create and launch into major retailers many award-winning seafood products, latterly for Sainsbury’s. Although she absolutely loved her role, and describes it as ‘the most amazing job in the world’ the pull of returning to her roots and working in her own fishmongers was simply too much. 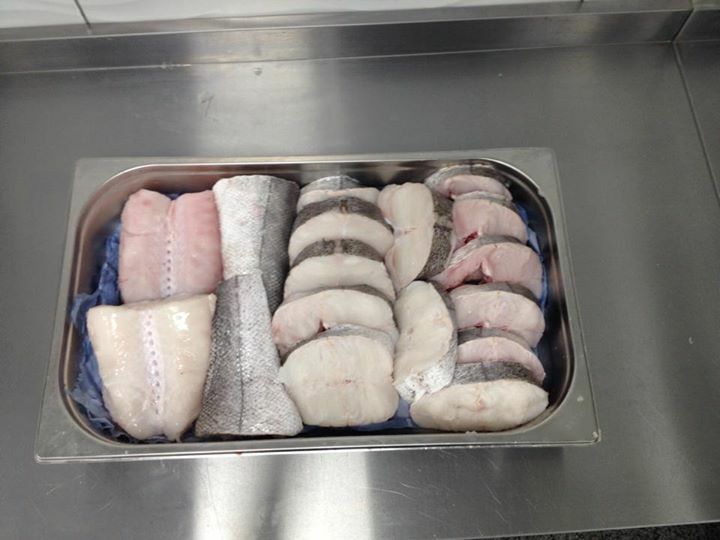 Cornish line caught bass, Cornish hake, mussels from Shetland with the star of the day; Skate wings.